Don’t let your wooden fence fall prey to termites. Termites can spell the end for an otherwise perfect wooden fence. This can be costly on many levels and it certainly won’t be your favorite event of the year. So, what can you do to minimize this damage? Well, there’s actually a lot you can do. Today we’re going to give you the rundown on protecting your wooden fence from termites. Ready to learn more? Well, here we go! Proper maintenance is very important. 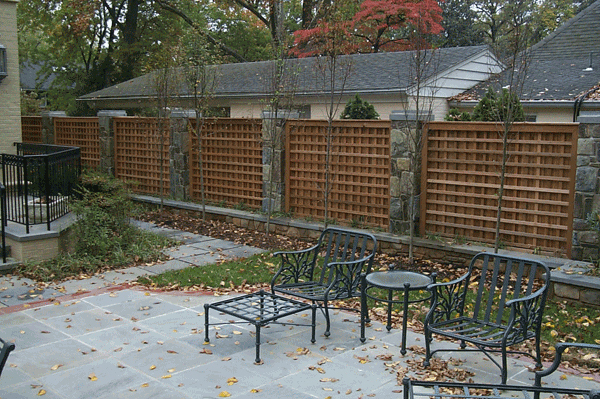 For starters, it is best to purchase a fence made with pressure treated lumber. Now, over time, this protective seal will wear away. That’s why it’s vital to make sure that you keep up with your wooden fence maintenance. Washing it and reapplying a sealant will help to ensure that termites don’t devour the fence. Now, summertime is great to give your wooden fence a good washing because the heat of the sun will dry it faster. A wet fence can be dangerous because it invites termites in for a nice meal. The faster you can get that sealant back on the fence, the better off you will be. If you have a supply of lumber or firewood for a project or woodstove, then you should not leave it near your wooden fence. Untreated lumber is a huge hazard and the termites may spread if you’re not careful. You should also monitor any gardens or foliage for termites and trim them back if you think they may lead to an issue. Now, in the event that you actually find some termites, you need to call a professional right away. Getting rid of the termites you can see is only going to fix the problem temporarily because there’s a larger colony underneath the earth. 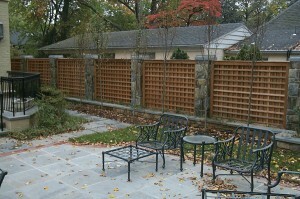 Looking for a wooden fence in Northern Virginia? This entry was posted on Friday, July 24th, 2015 at 7:26 pm. Both comments and pings are currently closed.